Adopted, disowned, and now under house arrest, this is a story of betrayal and reckoning, with love, land, and blood. The Winnipeg premiere of Trouble in the Garden will be held March 30 at 3 p.m. at the Ellice Theatre. 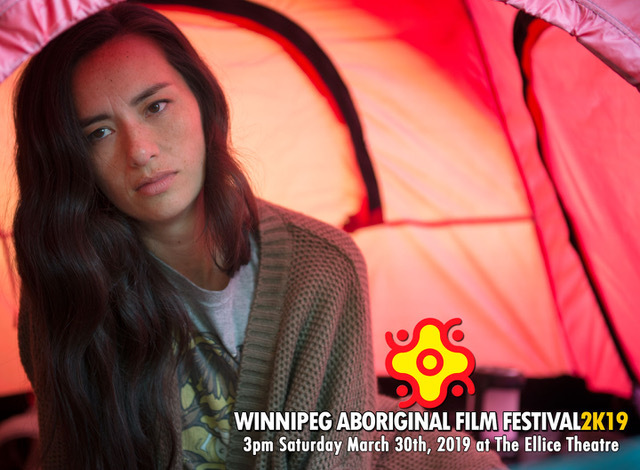 The film, featuring Cara Gee, written and directed by Roz Owen in collaboration with Raven Sinclair, tells the story of a radical eco-activist, who is jailed for protesting development on disputed Indigenous land. Long-estranged from her adoptive family, she never imagined her brother would be the one to bail her out. She is compelled to stay at his suburban home, where she discovers he's in real estate and pre-selling houses on the very land she's been trying to save. Sinclair is a national expert on the Sixties Scoop, and is an activist for Scoop survivors and Indigenous child welfare. Sinclair, a key collaborator on the film, is Nehiyaw (Cree) from Treaty 4.